Bugle delivered a well received performance at last weekend’s Your Views Award then sets his sight on Guyana. Donning a burgundy and white designer ensemble, a dapperly attired Bugle, delivered another of his signatory fiery performances over the weekend at the 11th staging of the Your View Awards (YVAs), held at the National Indoor Sports Center in Kingston. 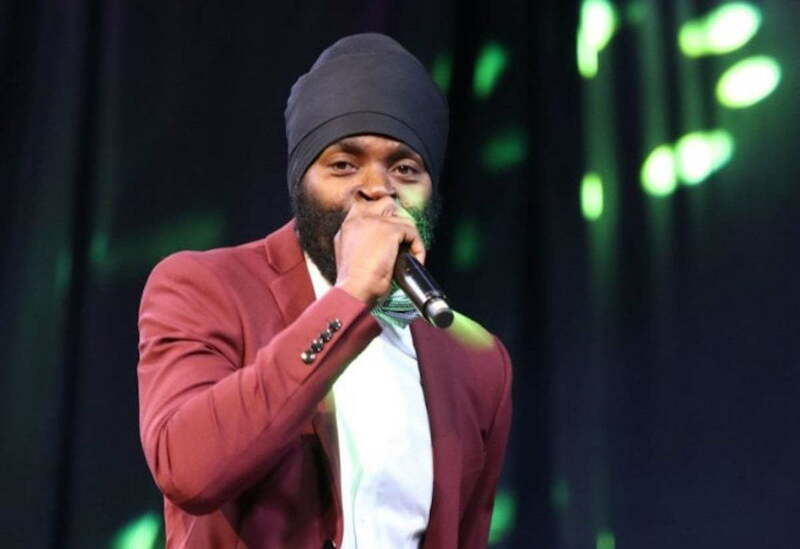 Despite not taking home any silverware the Rastafarian crooner was the recipient of two nominations for ‘Local Album of the Year’ for his latest body of work ‘Be Yourself’ along with a nod for the ‘Humanitarian Award’. The latter is a collaborative effort between the YVAs and Sagicor and is given to a member of the entertainment fraternity who has an active foundation rendering assistance within the prescribed nomination period. Bugle said he is happy for the recognition, and hope it will serve as a platform to inspire others to do more for the less fortunate. “Awards are always good but that is not the focus of my Foundation. I am hoping the highlight from the nomination will help to inspire others to join the cause to help the less fortunate of this anointed country,” Bugle said. Sunday morning, only hours after the award show the ‘Rasta Party’ crooner and members of the An9ted Humanitarian Foundation team were spotted across the Kingston and St. Andrew metropolis handing out hot meals to the homeless in the third instalment of their feeding initiative. The team was also joined by fellow conscious singer I-Wayne. Meanwhile, Bugle is slated to depart the island later this week as headliner for a concert in Guyana. The singer also recently completed a stint at the 2018 instalment of ‘Unplugged’ hosted by Usain Bolt Tracks & Records.